The DWK range of submersible contractor pumps from Grundfos combines durable performance with ease of installation, providing an immediate return on your dewatering solution investment. The solid cast iron construction and narrow design means the DWK range is ideal for pits, for temporary or fixed installation, in fact any situation where effective dewatering is needed. 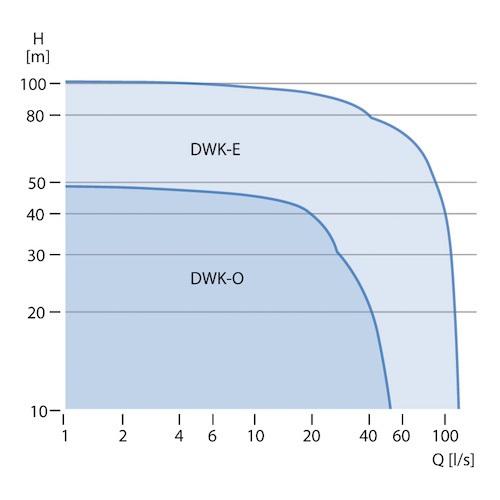 If high-pressure pump performance unhindered by sand or other abrasives is required, or if the available power supply is limited, the DWK range provides the effective dewatering solution for you.